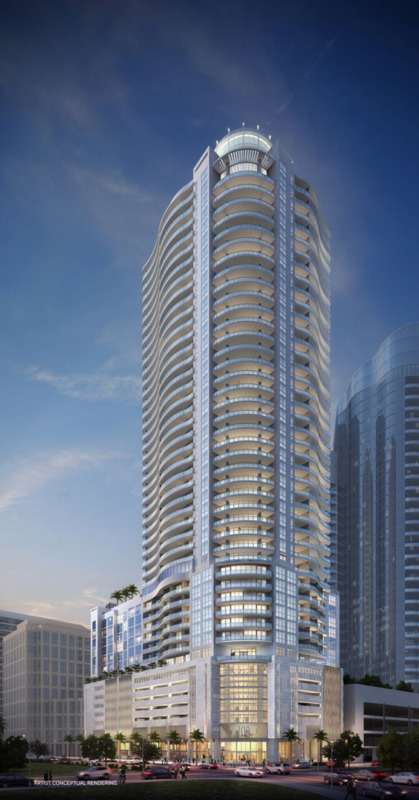 Projected to be the tallest residential tower in Fort Lauderdale once completed, 100 Las Olas is the first new condo project in Fort Lauderdale in over a decade. Currently, the project is about a month ahead of schedule. It is slated for completion in the first half of 2020. 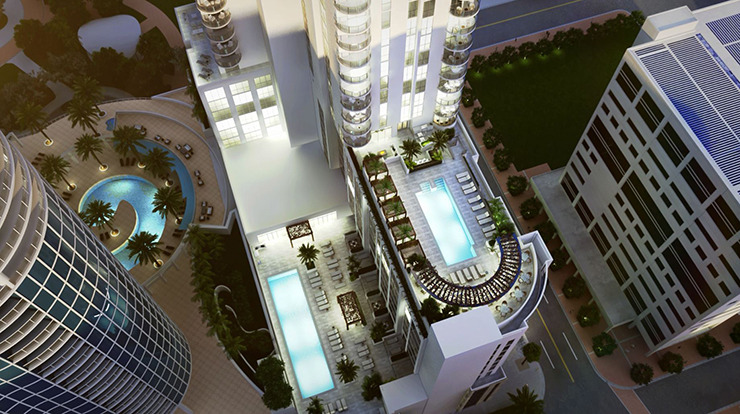 100 Las Olas will boast sweeping views of the city, as condominiums start at 160-feet in the air. Private residential amenities include a resort-style pool, day cabanas, a fitness center, a news lounge with daily beverage service and a club room with a catering kitchen bar, formal seating areas, a custom audio system and an expansive outdoor plaza. Residential floor plans range from 1,501 square feet to 2,964 square feet. Prices range from $800,000 to over $2 million. The residences will be energy efficient and fully furnished with contemporary open great rooms, gourmet kitchens and spa-like master retreats with expansive terraces. Owners will be able to choose their kitchen and bath finishes from Nolte cabinets and quartz countertops, Jenn-Air Euro stainless steel built-in appliances and Grohe and Kohler plumbing fixtures. 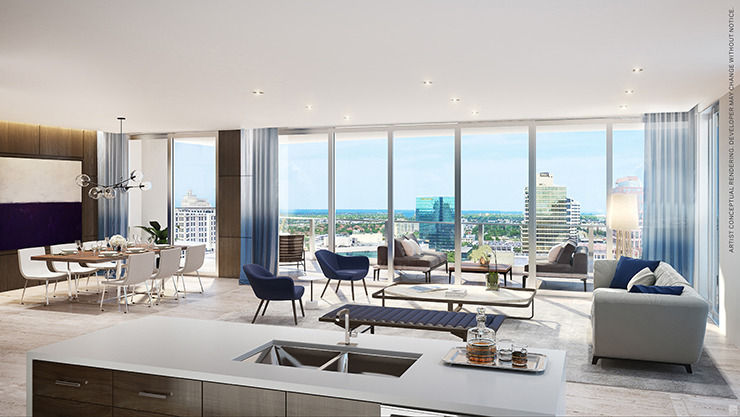 The main living areas will have premium, large-format porcelain tiles and floor-to-ceiling windows, as well as sliding glass doors and expansive terraces with glass railings. There will also be 8,500 square feet of retail, fine dining and a Hyatt Centric Hotel featuring 238 guest rooms. 100 Las Olas is located on East Las Olas Boulevard and SE First Avenue. For more information, visit onehundredlasolas.com.